One of the most clever, that is, funny men in show biz today is Stephen Colbert. He’s also practicing his Catholicsm and serves as a catechist. 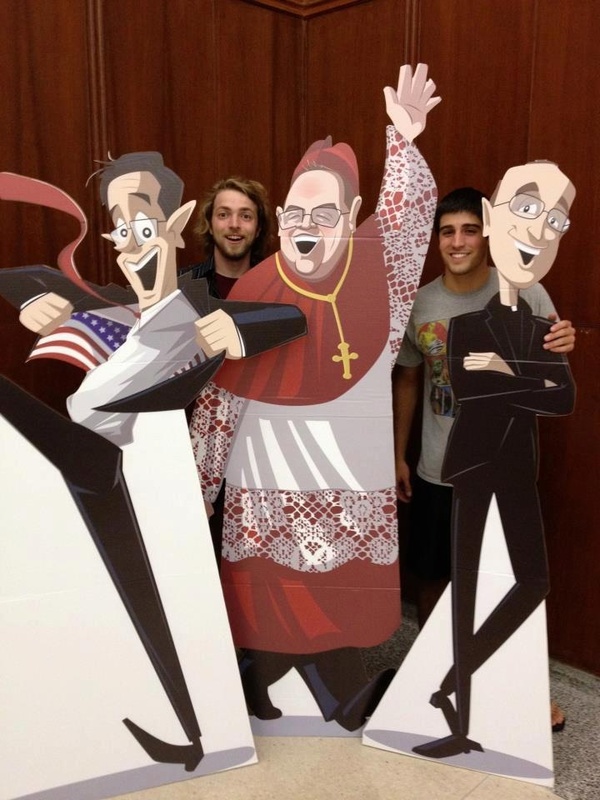 Mr Colbert, with a friend, Jesuit Father James Martin of American Magazine will host a show with New York’s archbishop, Timothy Michael Cardinal Dolan. Get ready for a laugh! On the AP is Rachel Zoll’s article: “Colbert to NY Fordham students: ‘I love my church. 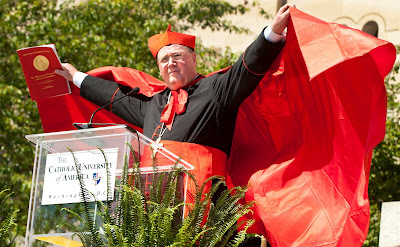 No doubt Cardinal Dolan’s presence to give the Benediction at both the Republican and Democratic National Conventions is history in the making. A cardinal from a prominent US See and president of the USCCB is in front of world politics. Does he know what he’s doing? Certainly, he’s following the method of Pope Benedict –and John Paul II before him– engaging in the conversation. Presence vs. absence is seen as a key value. AND it is. BUT……. I don’t quote the NCR at all in these pages. I don’t like their politic, nor do I like their way of being Catholic. But this editorial is worth reading and breaking down. There are several points I disagree with, but I think the writers are correct in trying to address the implications of the Cardinal’s presence on the dais and how well we know our own teaching, witness to it. Catholic Social Doctrine is not all that known even in sophisticated Catholic circles. There’s been a lot of posturing –let alone misinformation– about the recent revelation that the Cardinal of New York, Timothy M. Dolan, invited the US President to the famed Al Smith Dinner. He wants to be inclusive, open to dialogue, and helpful in trying to inform politicos about Catholic teaching on life and public service. Civility is Dolan’s hope. Indeed, it is noteworthy that civility ought to be a Catholic approach. In a time when civility is lacking in and outside the Church, perhaps this event may be a good example. Who could deny the value of such a method. Perhaps, one may ask, is it time to change the focus of the Al Smith Dinner or do away with it altogether? Nevertheless, I wonder if the Al Smith crowd and the Cardinal with his managers are working overtime to defend a prudential (reasonable?) judgment that’s really too difficult to defend by inviting a pro-choice US President. The white-tie Al Smith Dinner on 18 October may have one of the worst public officials whose record for life issues at a key table: The US President. Mr Obama is known as one of the worst offenders on matters of life. And his dinner partner is Timothy Michael Cardinal Dolan of New York. In extending an olive branch to the Democratic and Republican Presidential candidates His Eminence is fueling a fire that may not merely do away with troublesome undergrowth but kill off the roots, too. Exactly, how is inviting Mr Obama and Mr Romney helpful to the pro-life movement?